True Fear: Forsaken Souls is rated 4.5 out of 5 by 115. 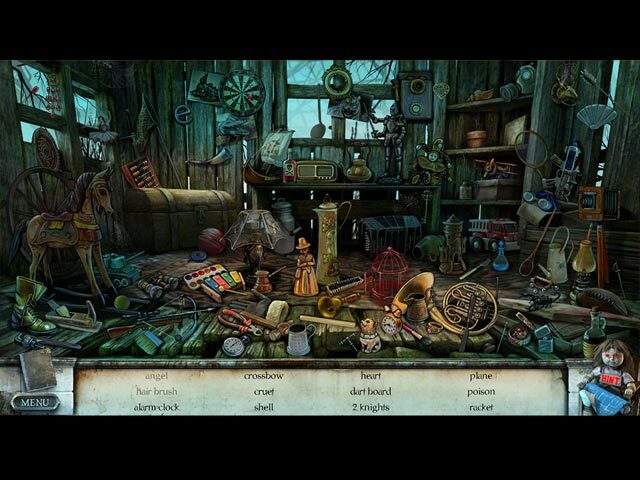 Rated 5 out of 5 by Marion776 from Best Hidden Object Game Ever for ME I'm not sure what's wrong with those that gave this game 1 or 2 stars, but I found this game to be awesome!!!! I have NEVER in my life had a video game make me jump the way this one did. I was very impressed by this game so much that I began following the makers on Facebook. When I look at a game I look for good graphics and a good story line and I feel that this game offers both to it's players. This game is a part of a trilogy, so I pray that Big Fish gets the other two on their site pronto! The only disappointment that I had was getting to the end and finding that I had to wait to get the rest of the story. Rated 5 out of 5 by Suelovesgames from True Fear: Forsaken Souls This is one of those true horror movie type games. Lots of blood! No, seriously you will see actual blood. 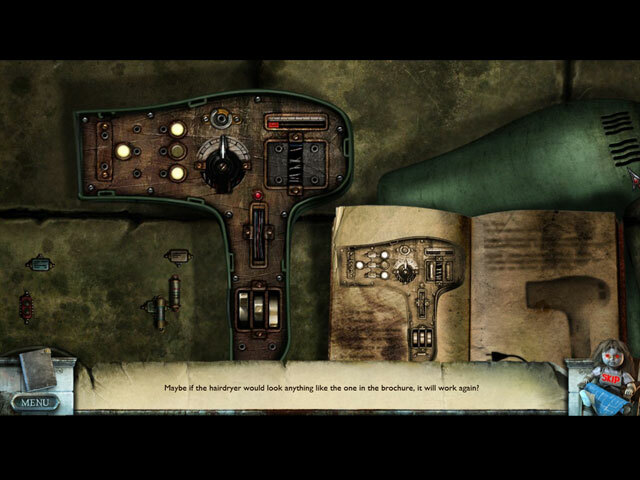 Very atmospheric with really nice unusual graphics, almost like a painted style. Rather sad, haunting music. Lots of scary dramatic moments that make you jump and yet...it's also a very well thought out game. It manages to retain a composure and is quite classy as horror games go. Very good, smooth gameplay, polished, very well paced. Unlimited hints. It's not as vulgar or shocking as I think it comes across. It's simply exciting and dramatic and not gratuitous (except for the blood now and again) Exceptionally good cinematics and cutscenes. I don't like horror genres as a rule but this is a bit different. I love the storyline too. It's very relatable to human emotions, all about the horror of regret when you don't appreciate what you have until it's too late, So, it's horror in more ways than one. Rated 5 out of 5 by jlv74 from One of my favorites This is one of the best games I've bought on Big Fish. I've played it several times, it never ceases to give me goosebumps. Rated 5 out of 5 by Coralinerocks21 from FAV! This is my favorite game here on Big Fish Games. It's just perfect. Does anyone know when the sequel is gonna come out???? Rated 5 out of 5 by fairshadow45 from True Fear: Forsaken Souls Can`t wait for the next two parts to come out. Rated 5 out of 5 by EzgiMelody from G R E A T !! What a Great Game ! I can not wait for the second part. Thank you BFG and Goblinz Games. Rated 5 out of 5 by Suelinfog from Loved this game !!! 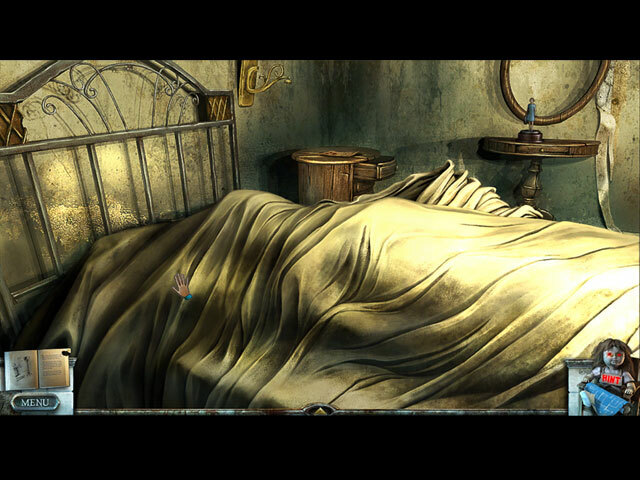 This is probably the scariest hidden object game I've played. But it was amazing !!! I loved every moment of it and can't wait to see if there's a sequel. Rated 5 out of 5 by hnkeljo from The Best Best HOG I've played yet. Genuinely Creepy. Can't wait for the sequel. Rated 5 out of 5 by SparkleGlow100 from VERY SCARY AND CREEPY – CLEVERLY PUT TOGETHER Scariest game I’ve played on BFG! The atmosphere builds up on you. I really started to feel “oh my goodness what am I going to find now?” Not gory except for the beginning cut scene and you do see corpses once or twice, plus scary faces. Although it’s a different story line, it reminded me of the movie “The Ring,” but not as an R. I found myself squeezing my eyelids almost shut on several occasions towards the last third of the game, in anticipation of what I might NOT want to discover! However, I rarely watch anything horror these days, if ever, so my tolerance is probably pretty low. Roam around a couple of places, one of which is your old home childhood home that never sold. It’s now decaying, dusty, old and worn cracking, peeling and boarded up in many places. You are trying to find clues about what happened to your sister. GRAPHICS: Clear. Mainly browns and grays and neutral colors. Represents the feel of the game well. Fills the whole screen. HOPS: 12-15 Wordlists with some items hidden. PUZZLES: Mixed bag SOUNDS: Music and Sound. The music is more like eerie effects as opposed to actual music. In the beginning environmental sounds are plenty, but as the game progresses, they lessen apart from your mouse-click sounds and actions that proceed from that. It totally suits the game. HINT: Recharges at 30 seconds on Casual DIFFICULTY LEVELS: 3 - interchangeable MAP: Travel with useful indicators. INVENTORY: Lockable. Gets pretty loaded, sometimes 10-12 items. JOURNAL: A “facts” notebook/journal is present on the start page, and in the game itself. I really like journals, because if you have a significant break from the game, the notes are an instant reminder of what this particular game is about. Replayable CUTSCENES also present at the start page. CHARACTERS: Rare interaction. Notes and letters give you insight into your family's thoughts. Rated 5 out of 5 by Icnprincess from Excellent Game The game was very interesting and has a good plot.